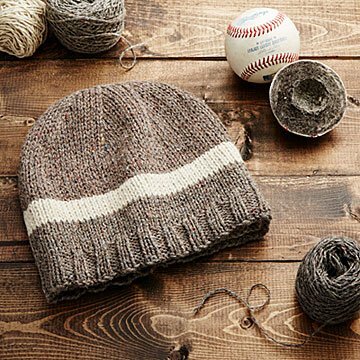 This beanie is knit from wool yarn found inside MLB authenticated baseballs used during the World Series. For the fan with Major League-level team spirit, this handcrafted limited edition beanie is made from MLB authenticated World Series baseballs. Knit from 200+ yards of wool yarn from three continuous strands found with a game-used ball, it's even lined with alpaca to keep you cozy for extra innings. Each hand-knit hat is gift boxed with a story card and hologram number indicating the World Series game the ball was used in. Because of the rarity of game-used balls, only a few hats are available for each team, making each beanie a special piece of baseball history. Give one to your MVP and you're sure to hit a gift home run. Designed by Ward Wallau. Handmade in California. Find out how fans first got their mitts on the Baseball Beanie on our blog. This is a made-to-order item. If you order today your item will ship no later than 5/23/2019.